Bungee jump from the iconic Victoria Falls Bridge into Bakota Gorge, a stunning sandstone canyon located just below Victoria Falls! The exhilarating 2-hour experience includes a safety briefing led by a professional bungee instructor, as well as all safety equipment. 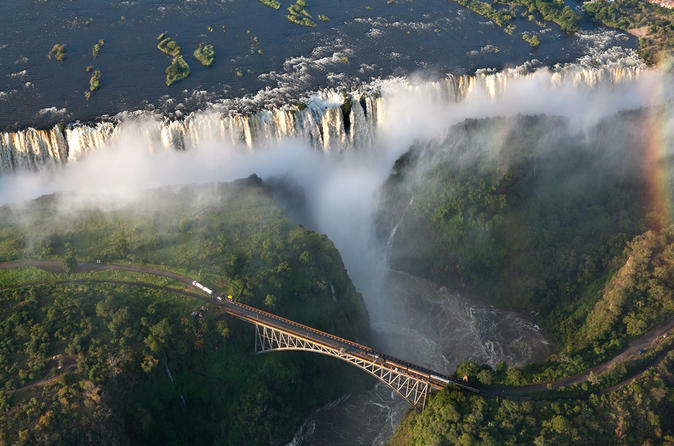 So put any jumper’s jitters to one side, and take a leap of faith toward the crashing waters of the mighty Zambezi River at the bottom of the gorge; it’s the perfect experience for adrenaline junkies and once-in-a-lifetime jumpers alike.